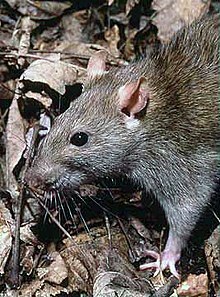 The grund ratton (Rattus norvegicus) is ane o the best kent an maist common rattons. ↑ Ruedas, L. (2008). "Rattus norvegicus". IUCN Reid Leet o Threatened Species. Version 2011.1. Internaitional Union for Conservation o Naitur. Retrieved 9 August 2011.